The Stone Mountain Scenic Railroad offers a short but exhilarating authentic train ride through Georgia's popular Stone Mountain Park. The popular excursion has been in service since the early 1960s and has a history far more interesting than most other tourist lines. 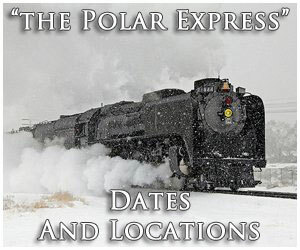 For the first two decades the trips were pulled using historic, restored steam locomotives. 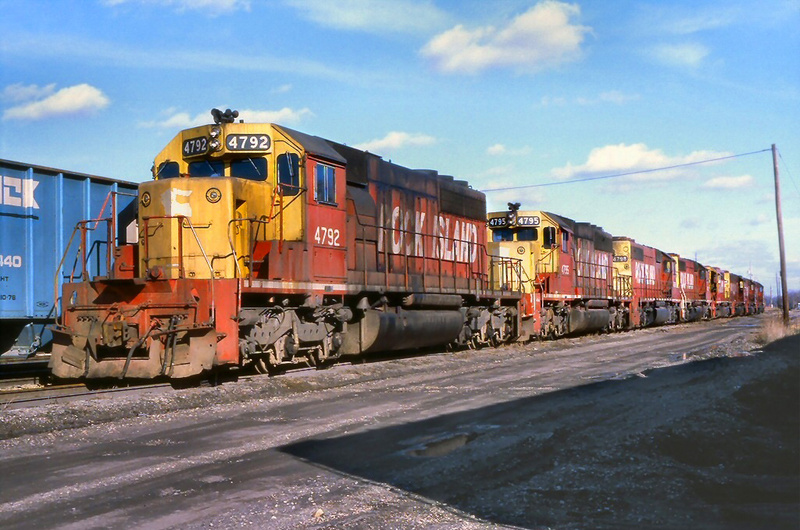 However, since the 1980s only diesels have been used. Despite this, these locomotives are also historic and can trace their heritage back to the 1950s while one features the classic, streamlined carbody patented by the successful Electro-Motive Division of General Motors. The Stone Mountain Theme Park, just east of Atlanta, is best known for its large, quartz monzonite rock dome that rises 825 feet above the area and features an immense carving of Confederate Generals Stonewall Jackson and Robert E. Lee along with Confederate President Jefferson Davis. After the land was privately owned for many years the grounds were purchased by the state of Georgia in 1958 and soon afterwards the park was opened. During the next few years several activities debuted, one of the earliest of which was the Stone Mountain Scenic Railroad (reporting mark, SMPX) that opened on April 12, 1962 and trains began running soon afterward. The history of this tourist line is quite interesting. Unlike most such organizations which have reused would-be abandoned, mothballed, or dormant main lines or branches the Stone Mountain route is actually a former railroad spur. This term usually describes a very short stretch of track departing from a main line to serve an industry or some other type of customer. In this particular case the tracks were constructed just after the Civil War by the Stone Mountain Granite Company to serve quarries at base of Stone Mountain. Relatively long for a typical spur it was nearly four miles in length and swung around the mountain, connecting with the Georgia Railroad's main line in Stone Mountain. The Georgia Railroad was a small system that interchanged with the Atlanta & West Point (a system it controlled) at Atlanta and ran eastward to Augusta as well as operating a branch south from Camak to Macon. The Georgia Railroad also controlled the Western Railway of Alabama, another small system dating to the 1830s and connected Montgomery, Alabama with Columbus, Georgia via West Point. Collectively, all three properties were regarded as "The West Point Route" a name that remained in use for many years. The Georgia Railroad was later acquired by the Central of Georgia and Louisville & Nashville railroads. In 1944 in the CoG sold its interest to the L&N, which itself was eventually taken over by the Atlantic Coast Line. 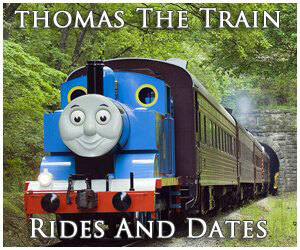 The history of trains to Stone Mountain date to 1847 when the first service began to local quarries. According to the website "About North Georgia," the rails were severely damaged during the Civil War in 1864. The mountain was then purchased by the Stone Mountain Railway & Granite Company in 1867 and rails were relaid in 1869. Over the many years the site has had various owners and name changes. After nearly a century of services trains finally stopped calling in 1942 when the tracks were removed. However, quarrying the local granite continued until the 1970s when the practice finally ended entirely. The new Stone Mountain Park felt that a tourist railroad would blossom into a popular attraction. As a result, soon after the state 's purchase efforts were underway to once again utilize the old right-of-way by relaying rails and run trains around the mountain. 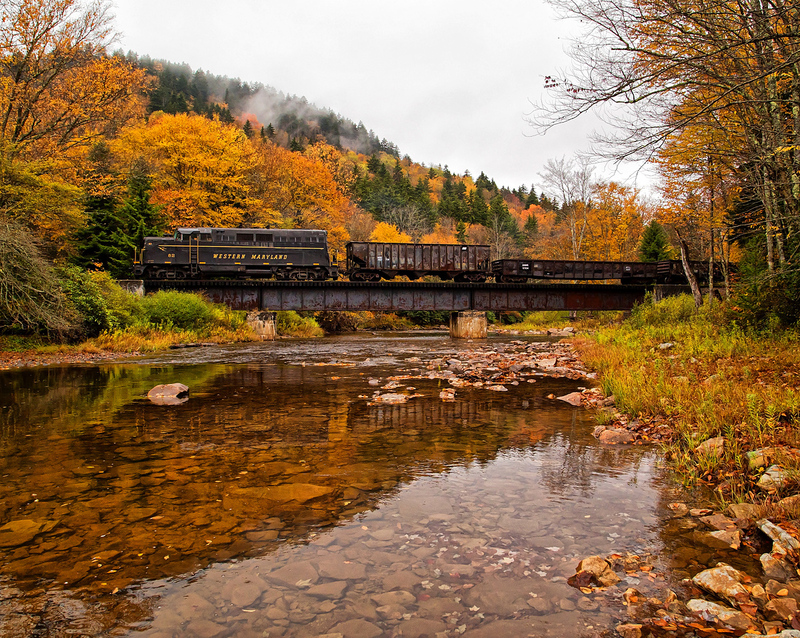 At the time the new Stone Mountain Scenic Railroad was a privately operated excursion. It also maintained restored steam locomotives at the time to pull its trains. The two most notable include a former McRae Lumber & Manufacturing 2-6-2 built in the 1920s and a small 4-4-0 manufactured for a short line system in Texas. Alas, steam, a major tourist attraction, survived only until the 1980s when the remaining units were retired and eventually left the property. Today, the Stone Mountain Scenic Railroad operates exclusively diesels. 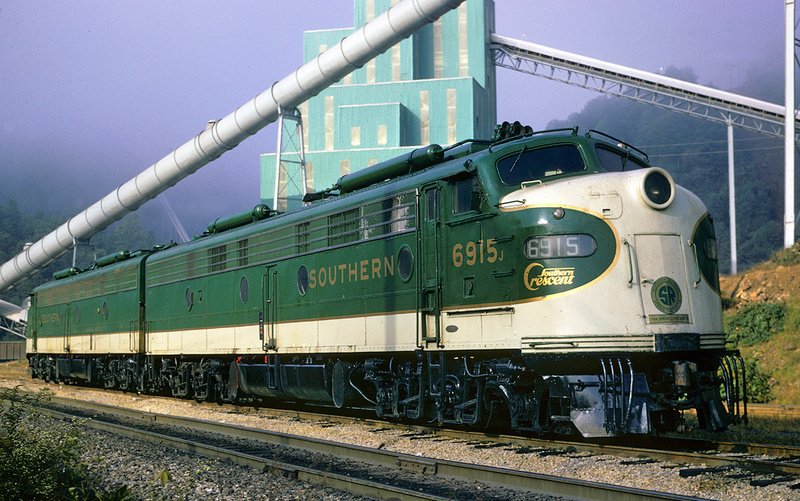 There are three primary locomotives in use; a former Chesapeake & Ohio GP7 and a pair of ex-Southern Railway FP7's built for a subsidiary of the carrier. Today, all three brandish an attractive park livery of light green and silver with black and gold trim. The scheme closely mimics the Central of Georgia's original livery only with different colors. In addition, each nose of the FP7s bear a small emblem denoting the railroad as "The Rock Line." Trips depart from the Marketplace Depot in Crossroads and last slightly under an hour. For more information about the excursion please visit the park's website.